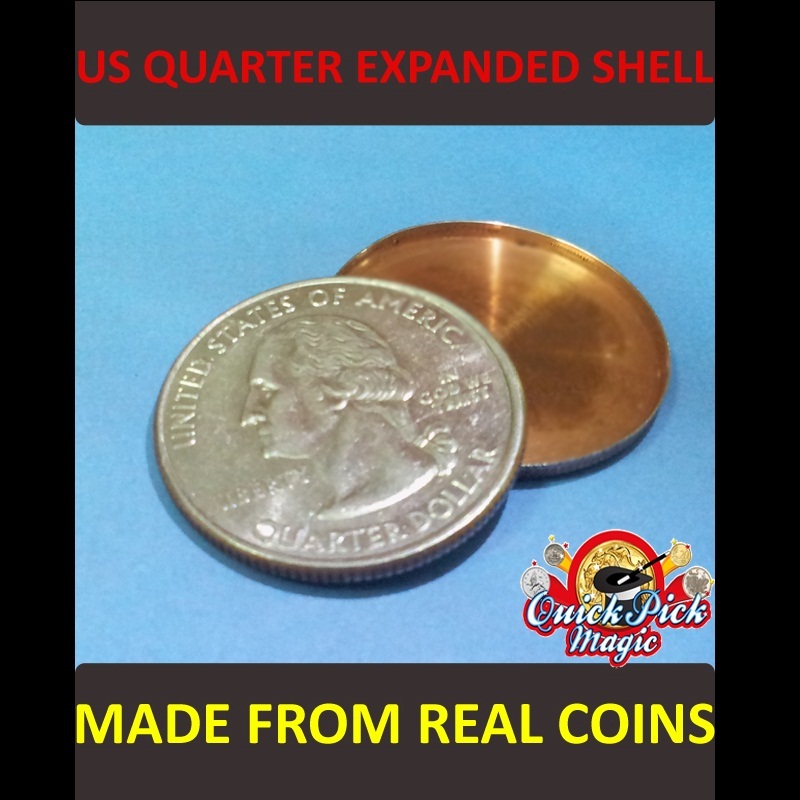 Precision made expanded shell that fits over regular US QUARTER DOLLAR coin! 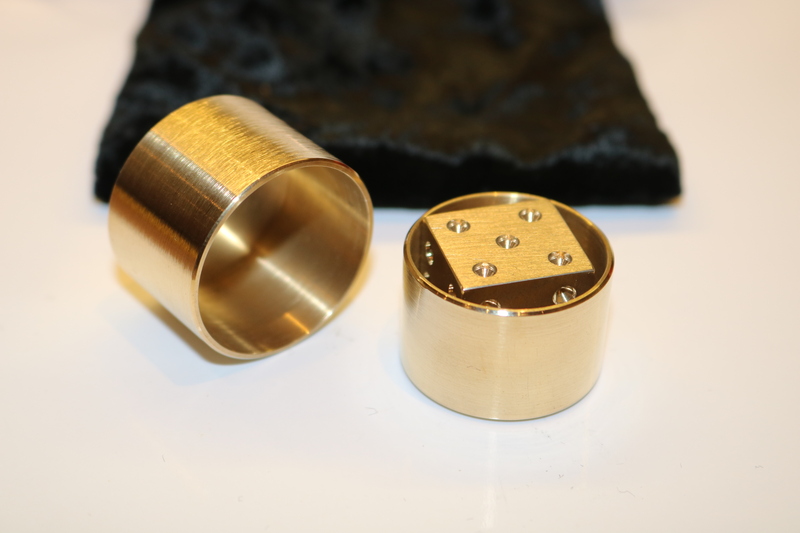 Imagine borrowing ordinary coins and performing impossibilities with them- a magician’s dream! Dozens of effects are possible, including a very easy version of the classic coin vanish and transposition. Made from real US QUARTER DOLLAR coin, only the edge of the coin is stretched, so there is no distortion on the face of the coin. BONUS! This coin comes with instructions for a vanishing coin effect! SKU: USESCQ. Categories: American Coin Magic, Best Selling, Closeup Magic, Coin Magic. Tags: Expanded shell coin trick, US coin magic, US expanded shell, US quarter expanded shell coin, Vanishing coin trick.